This couple’s historic Elboya home marries mid-century and modern design for a space that goes back to the future – 1954 to be exact. Large, north-facing windows flood the living room with natural light and provide a view of the backyard. 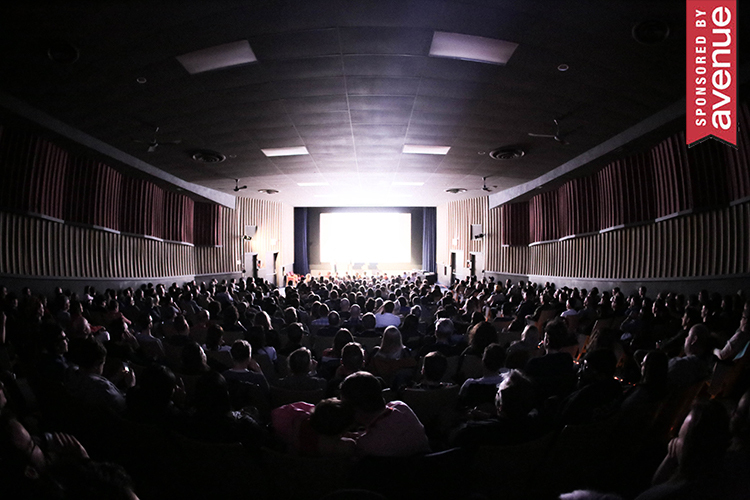 Photography by Jared Sych. 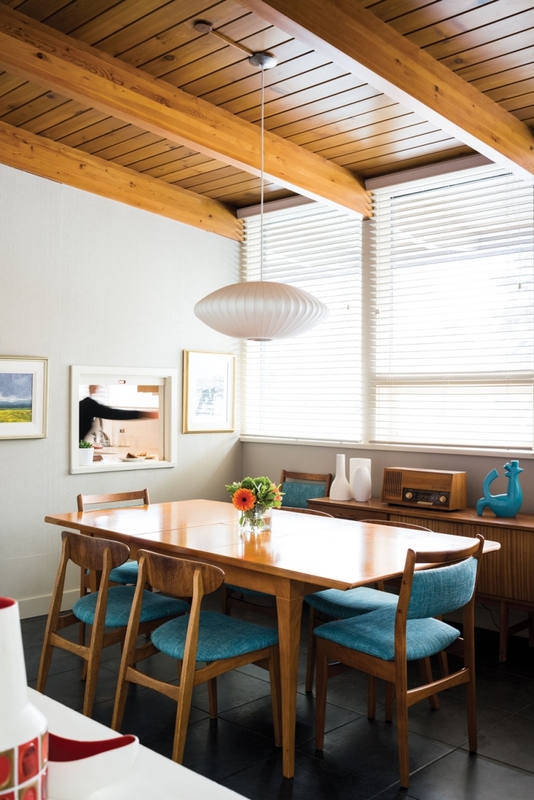 When Michael Kurtz and Jennifer McColl first moved into their 1,500-square-foot mid-century home, they had only a faint idea of its history; the realtor mentioned it had won some sort of design competition. “There really was zero information [about the house] available at the time,” says Kurtz. Eventually, Kurtz, a design director at Under The Roof Decorating, came across a mention of the home in a book on suburbanization in Calgary, which, in turn, credited an exhibition by Trevor Brody on modernism in Calgary. And so he followed lead after lead, piecing together the story of his home, one article at a time. 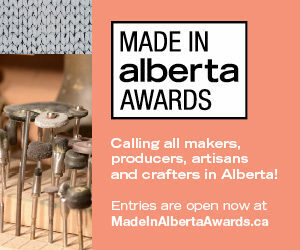 He’s since turned that yarn into an online record of the history of the home at calgarymcm.com, a story that starts in 1954, long before Kurtz and McColl moved in, in 2002. The house, as it turned out, was one of 10 “Trend Houses” built by Western Woods, an organization formed in the 1950s by various B.C. lumber companies in an effort to boost sagging postwar sales of their wood. This effort culminated in the Trend House program that saw Western Woods hire architects in 10 cities across the country to each design a show home that would reflect the future of home design, while also showcasing the organizations’ wood and plywood products. 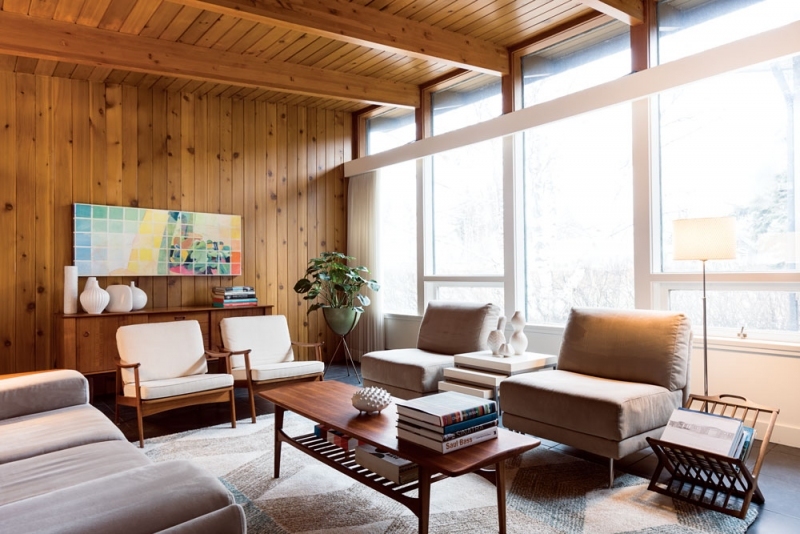 When completed in 1954, these 10 homes were outfitted with furnishings from Eaton’s and opened to the public for a four-month period, during which time the Calgary house welcomed an estimated 30,000 visitors, nearly one fifth of Calgary’s population at the time. Part of the home’s futuristic appeal was the multitude of innovative elements featured in the house, including etched plywood walls and ceilings, a climate-control system with sensors on the outside of the house that adjusts the temperature according to the weather and a remote-controlled electrical system that allowed users to operate electronics from either the kitchen or the master bedroom via a switch-and-dial configuration. Old hat today, but virtually the stuff of science fiction back in ’54. When it comes to furnishing their home, Kurtz and McColl acknowledge its roots without feeling constrained by them. “We’re not interested in living in a museum,” says McColl. “It’s definitely mid-century-influenced, without being slavish to it.” Though it can seem like they planned their furnishings to fit with the mid-century modern decor, they say the style preference preceded their buying the house. The advantage of working with mid-century modern, says the pair, is its ability to seamlessly absorb other styles. Thanks to this forgiving backdrop, their home incorporates everything from modern Natuzzi furniture to older pieces from the 1960s and ’70s, including a white sofa and matching chairs originally bought by Kurtz’ parents in 1963, and a metal sculpture they found at a garage sale. Personal flare is sprinkled throughout their home in the photography on display. Hanging above the dining room’s built-in unit are twin rows of old family photos, and both their bedroom and bathroom feature photographs of places the couple enjoys visiting, like St. James’s in London or the Gare du Nord in Paris. Between items the couple has collected over the years and the pieces they’ve stumbled upon during vacation, McColl says they’ve managed to inject their personal style into the home one piece at a time, without necessarily feeling the need to fill a room. “It’s never been the case where we felt like we’ve got this empty house, we’ve got this shopping list, let’s go out and get some furniture for it,” she says. Kurtz and McColl spent approximately eight weeks renovating their home before they moved in and found that, as charming as owning a historic house was, some features were in dire need of an update, such as the 60-year-old insulation and the outdated electrical system. The kitchen, for example, had three layers of linoleum flooring that were removed in favour of the dark porcelain tiles found throughout the main floor of the home. The cabinetry was also given a facelift, with sleek wooden panelling with silver handles to match their modern appliances. However, as with most of their other renovations, the couple was able to maintain the original kitchen layout, including the etched silva ply decorative plywood walls and ceilings, allowing the homeowners to respect the design of the house while bringing it into the 21st century. 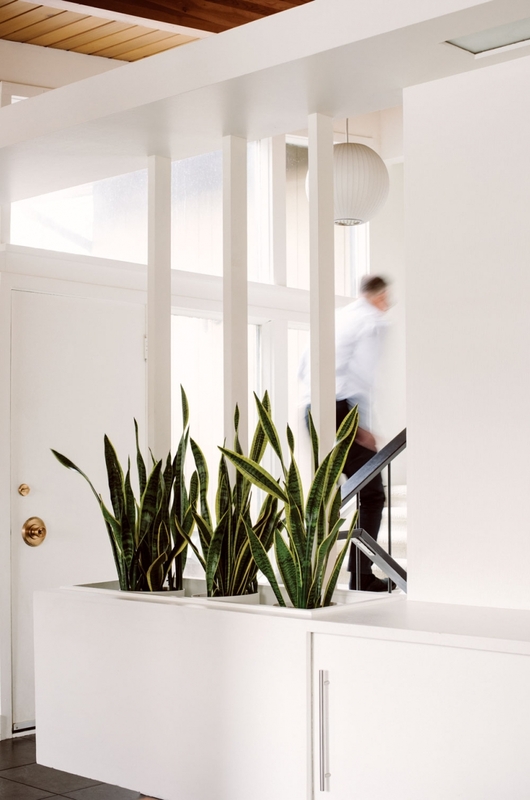 The couple had been living in San Francisco when they bought the house and had originally picked paint for their new home there, but, on arriving in Calgary, they found that the different quality of light here made them rethink their choices. 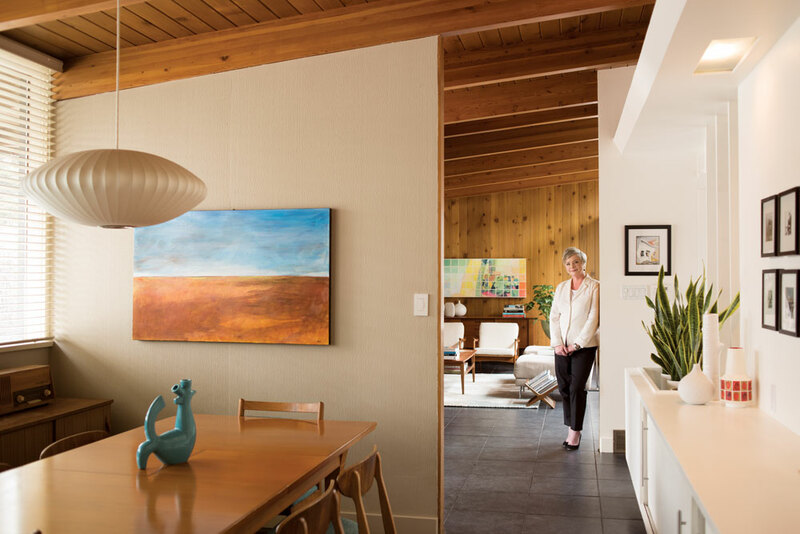 Some rooms required little or no improvement, such as the living room just off the main entryway, with its impressive red cedar feature wall and ceiling, and Douglas fir plywood walls and exposed beams. Its large clerestory windows face the front yard, allowing natural light in without exposing the room to the outside world, and the brick fireplace element, which protrudes from the house’s main facade, are all classic mid-century modern that tie the exterior and interior house together, something the pair wanted to showcase. The three-quarter walls lend the dining space an intimate yet open feel. Light tones and open wood features create a sense of space in the home. The kitchen’s pass-through allows communication between hosts and dinner guests and contributes to the open feel of the rooms.